First Aid Research of Jupiter, Fla., is recalling about 500,000 packages of Maximum Strength Bacitraycin Plus Ointment with Lidocaine. The packaging is not child resistant as required by the Poison Prevention Packa ging Act, posing a risk of poisoning to young children if they put it on their skin or ingest it. This recall involves Maximum Strength Bacitraycin Plus Ointment with Lidocaine. The recalled ointment is in a white, one ounce tube with “Bacitraycin Plus” printed on the front in green. 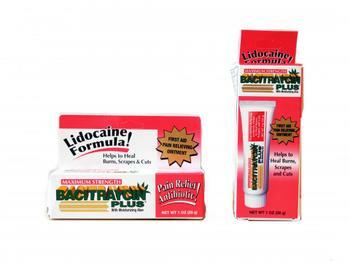 Lidocaine is one of the two active ingredients listed on the back of the tube. The tube measures approximately 5 inches long by 1 inch wide. The lot number is printed on the end of the tube. The ointment, manufactured in South Korea, was sold at BiLo, Food Lion, Giant Foods, Hannaford, Harris Teeter, Kroger, Price Chopper, Rite Aid, Stop & Shop, Tops and Walgreens stores nationwide from January 2014, through November 2017, for about $9. Consumers may contact United Exchange toll-free at 888-645-8204 from 8 a.m. to 5 p.m. (PT) Monday through Friday, or online at www.firstaidresearch.com and click on “Recall” for more information.